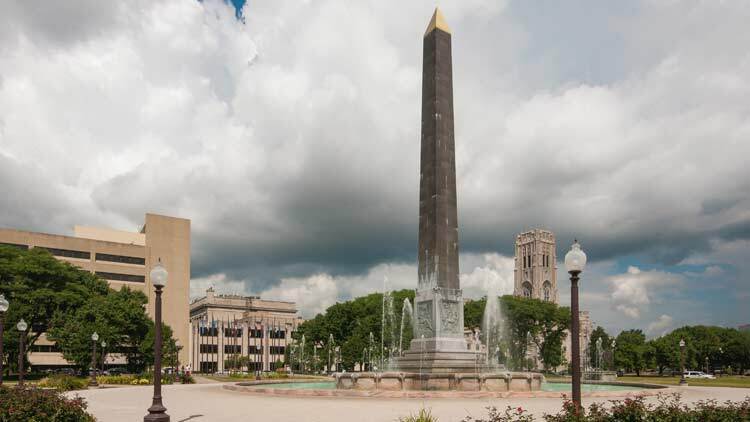 Veteran's Memorial Plaza, once known as Obelisk Square, was completed in 1930. 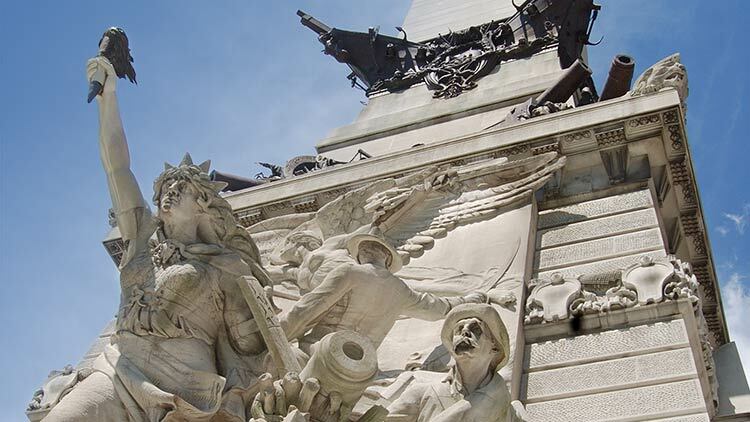 Centrally located in the Plaza are the Obelisk and Fountain that honor all Indiana veterans. 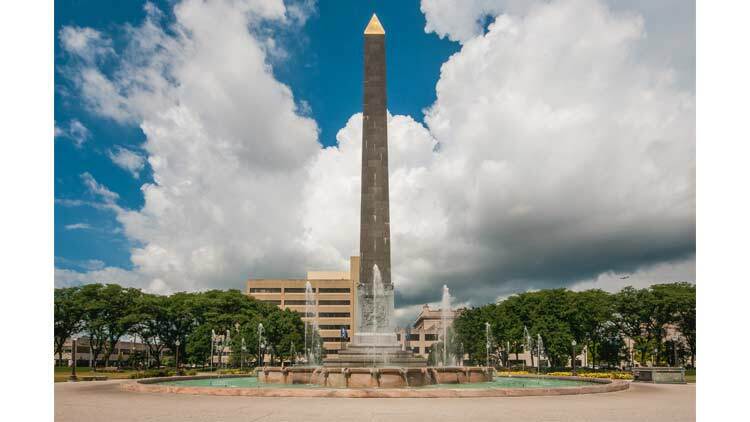 The Obelisk is a 100-foot shaft of black Berwick granite, representing the hopes and aspirations of the nation. 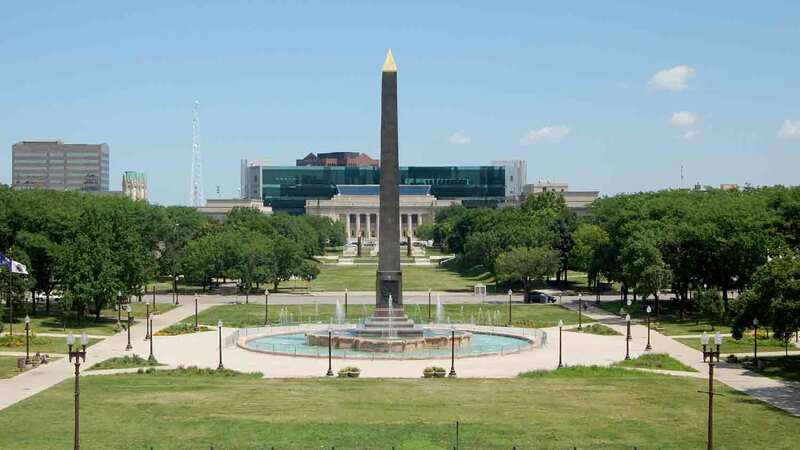 The bronze tablets at its base (created by sculptor Henry Hering) represents the four fundamentals upon which our nation's hopes are founded: law, science, religion and education. One hundred feet in diameter, the fountain is made from pink Georgia marble and terrazzo. Fifty state flags and the American flag are displayed at the north end of the park.